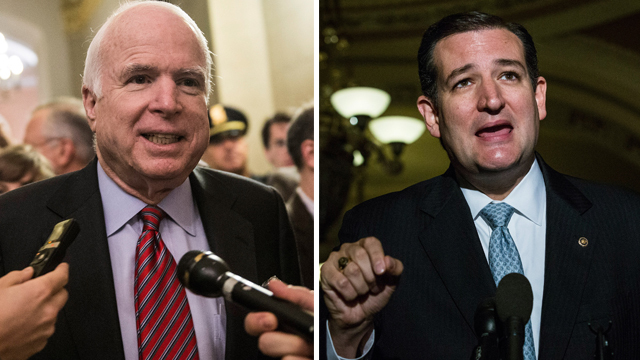 Then Sen. Ted Cruz (R-TX): Conservative hero, or the “laughing stock” of the Senate? The architect of the strategy that led to the recent showdown in Washington joins us exclusively to discuss the next battle in the fight to eliminate ObamaCare, and why he’s not ruling out another attempt to shut down the federal government. And will Democrats and Republicans suffer long-term wounds from these short term fights? Our political panel with CNN Political Commentators, Democratic strategist Donna Brazile, Republican strategist Alex Castellanos and The New Yorker’s Washington correspondent Ryan Lizza. Watch Sunday at 9am ET and Noon ET on CNN.